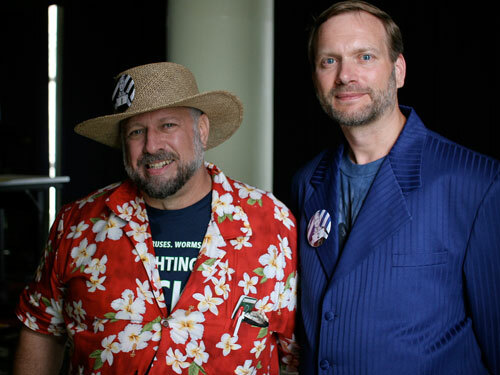 Michael Stern Hart and Gregory Newby, founders of Project Gutenberg, an effort to digitize and make available public domain books in electronic forms. My colleagues and I sadly mourn the passing of a pioneer in digital curation. Michael Stern Hart, the founder of Project Gutenberg, has passed away at age 64. While not a household name, Hart has an important place in modern technology, given he is credited as the inventor of the eBook. His contribution can be felt every time someone reads a book from a Kindle, Nook or iPad. Some might say that fans of traditional paper books, and those bemoaning the demise of bookstores such as Borders, might take issue with his work. But everyone should agree that his legacy will be the irreversible revolutionizing of how we read, going forward. Project Gutenberg is an effort to freely make available a collection of 36,000 out-of-copyright books that were painstakingly proofed and digitized into various open digital formats.